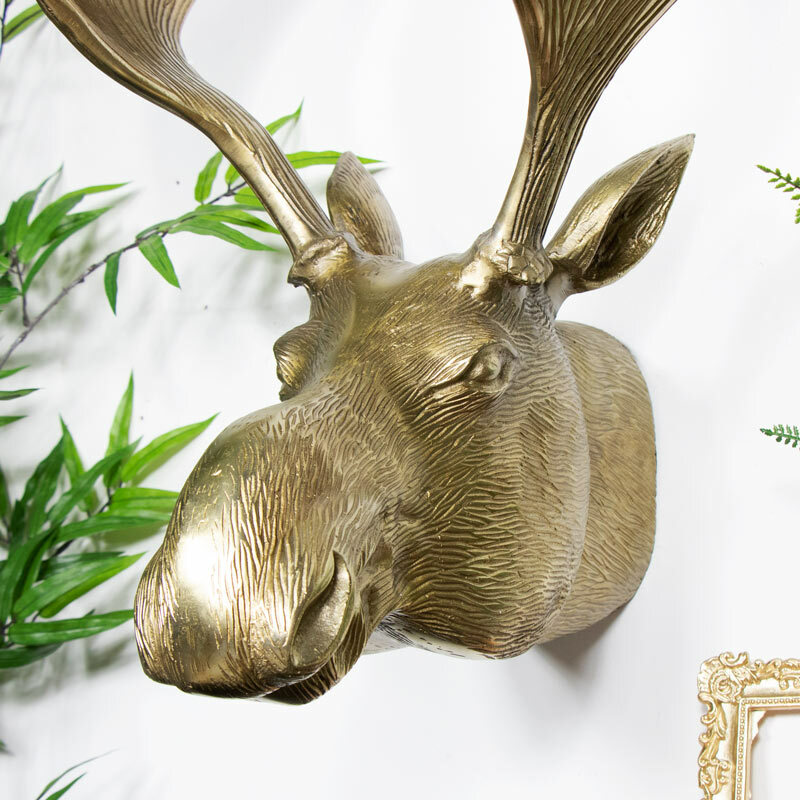 This handsome chap will look fantastic displayed in the living room or hallway. 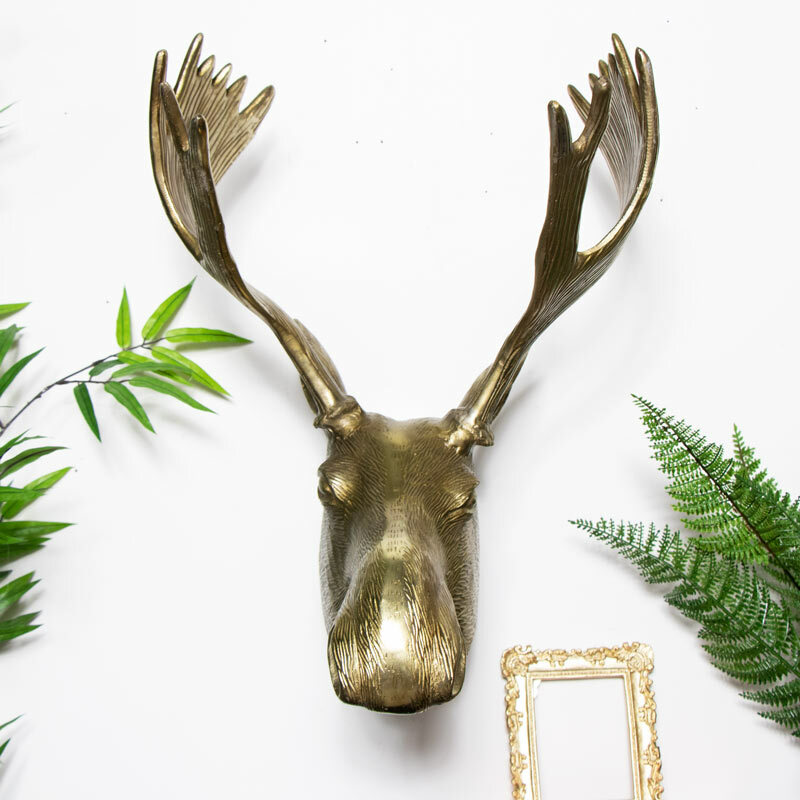 Large wall mounted moose head in a gold colour. 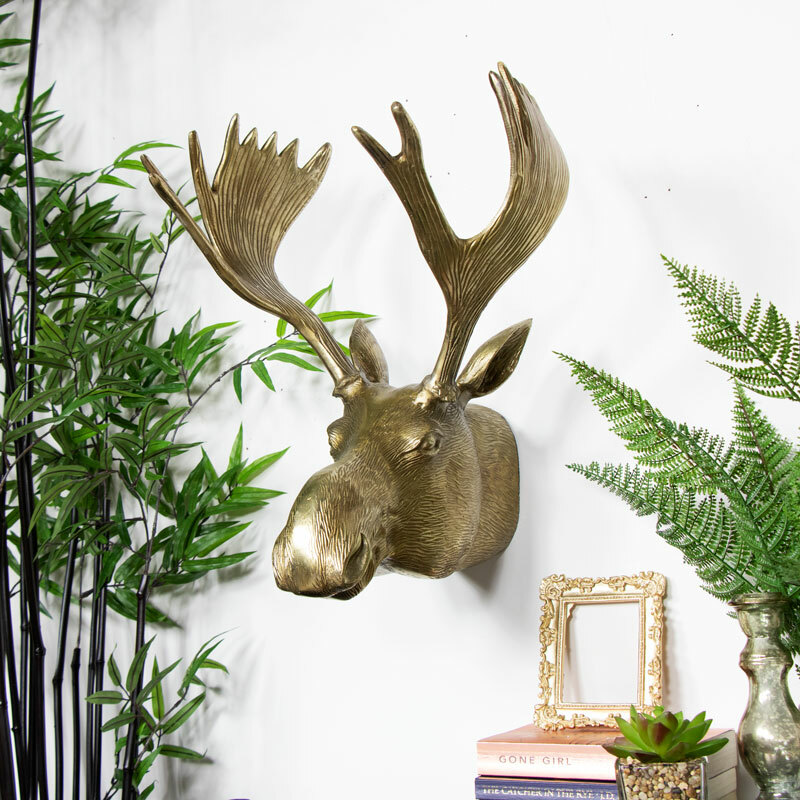 With beautifully detailed fur and antlers, this moose will make an unusual but outstanding addition to a rustic, traditional or industrial styled interior. Easily wall mountable with two holes on the back. Fittings are supplied as this items comes with two screws and plugs. Rustic furniture and woodland animals are an up and coming trend. Make sure you browse our full collection available on our website.